After work slog on the Pig Farm trail. Heavy lunch and wind made for a long short run. Awesome sunrise run up Skyline west with Matt. Able to run up to rocky point! Yeah. A tad chilly out, but views and trail perfect. Peace Yoodle. Miles on the mil 'o pain.. was a struggle this AM. Very windy this morning so the car just kept driving to the gym 'o jello. Felt good to roll though. Drizzly early morning run up Wheelers with Matt. Was raining but decided might as well go for it. Headed up Wheelers to Art Nord - then turned up the old road til we hit the middle fork trail crossing. Decided the upper trails would be to muddy, so back down the way we came. Great stuff. Beautiful morn out! BST from 22nd with Curtis and Kelly. Trail in sweet condition headed south out to the little Bues loop and back. Peace. Five in the heat of the day on the freaking pavement. Opted for another heat fest.. Was painful. Ogden 13.1.... Rainy, but awesome. I had no idea what to expect out of this race absolutely no idea. I haven't raced on pavement since last year sometime.. 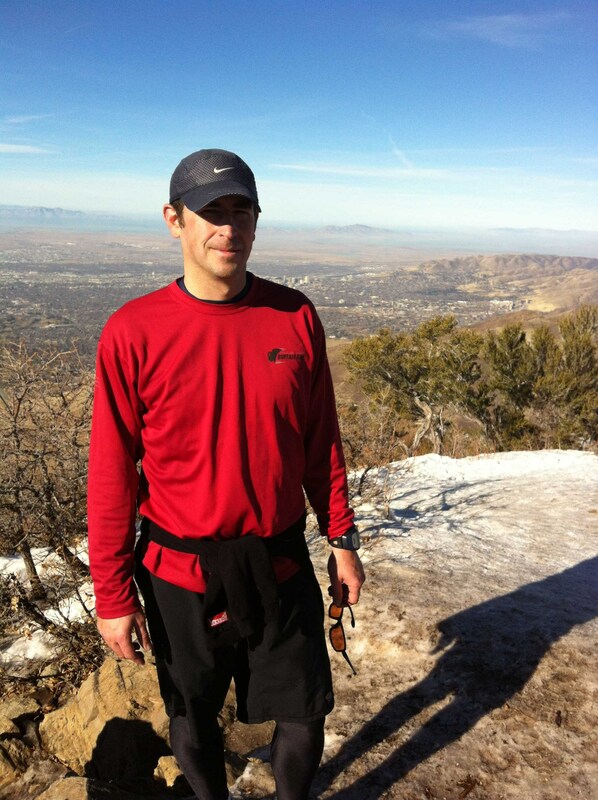 Probably the Ogden 26.2 so, a year ago. I feel like a bit of my top gear has some serious rust on it, so I was shooting for having a good time and trying not to blow up. With the weather it looked like we made the right call in doing the half this year. There was some serious rain the entire time, but I didn't mind it at all, well not until the race was over and I started to freeze! Since Scarback, HairDog, and Fred couldn't make it - that left Gdoc and myself. Was stoked to see my avg under 8, wasn't sure I could pull that off with the lack of road running etc. Happy to hit the 1:42 too. Good times! GDOC had me running scared too, that probably had something to do with mile 13. Back to the grind.. Making sure all is well. Tm o' pain for a little bit. After the race my left achilles tightened up so, wanted to make sure all was well.. Time for some H2o..
Another spectacular run up Wheelers / East / Middle down Ice Box with Shane. Trail is prime. Weather is great. Another Beaver sighting at the Beaver Dam.. Perfect - Peace yolo. Nine miles with the G'. Headed up Wheelers / East fork / Middle / Ice Box... it was money!! Ran into Curtis and Dan by the beaver pond. Great temps weather prime. Trails perfect. Peace YO. All the talk of SPIN yesterday - motivated me to get on the Bike this morning.. Nice Burn. Rainy slippery mess so, hit the gYm for some CheeseWheel action. Felt horrible. Need fresh air.. help. Another BEAutiful run up Wheelers/East/Middle/Ice Box/Wheelers with Gdoc and HairDog.. Trails money after the midweek rain. Ya. !